Geist! 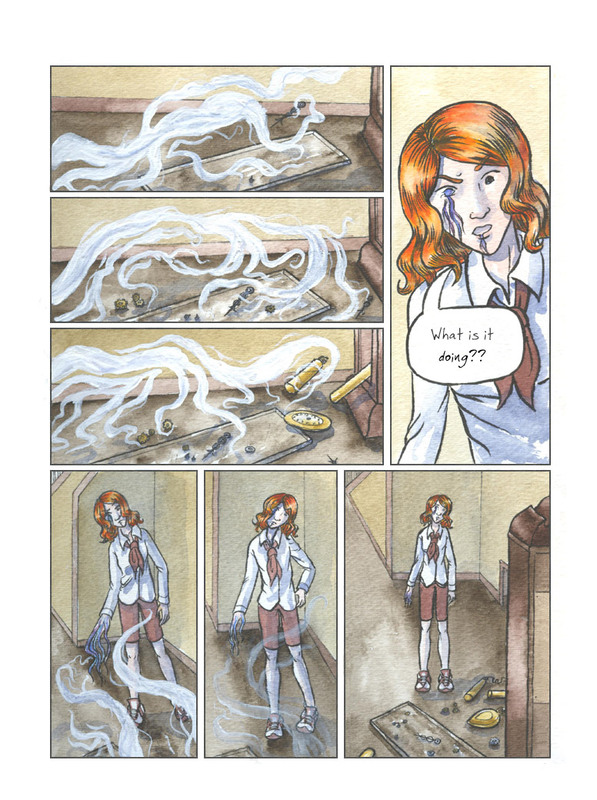 Page 43 – Geist! And that ends Chapter 2. Check back early next week for the cover for Chapter 3! Oh yeah, and a reader (thanks, bps!) requested a detailed close-up of Kate’s eye and hand, and being the obliging and generally wonderful person I am, I posted one. You can see it in last week’s comments or on Geist!’s Facebook page (http://www.facebook.com/pages/Geist-Comic/192091157482337). I’ll try and stick any little extras I do up on Facebook. That is one curious whispy thing. I wonder if it knows what that stuff is or not. Also, curious is a weird word.